Here’s more Christmas cheer. And another worm. 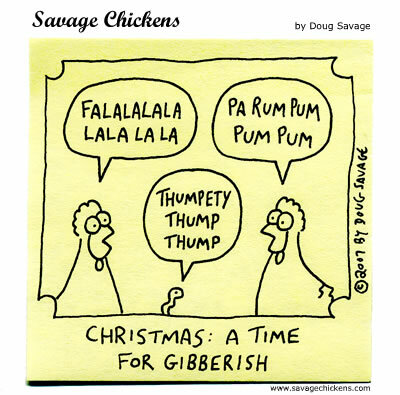 Although it’s been said many times, many ways, merry gibberish to youuuu. Yay first one to comment, i love Savage Chickens, it’s the highlight of my day. Always makes me laugh lol. Curse you! Curse you!! Now I have these stupid songs stuck in my head! wagons, quilts and black hats. Definitely a good candidate for a Christmas card! But it’s too late for this year! The cards would never get here in time. I agree with belphebe — you should start a line of greeting cards with your cartoons. 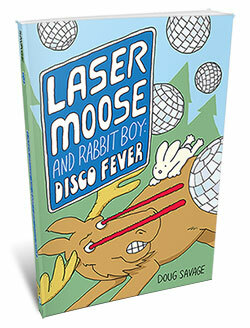 Cartoon on the front, blank inside… Run with it!